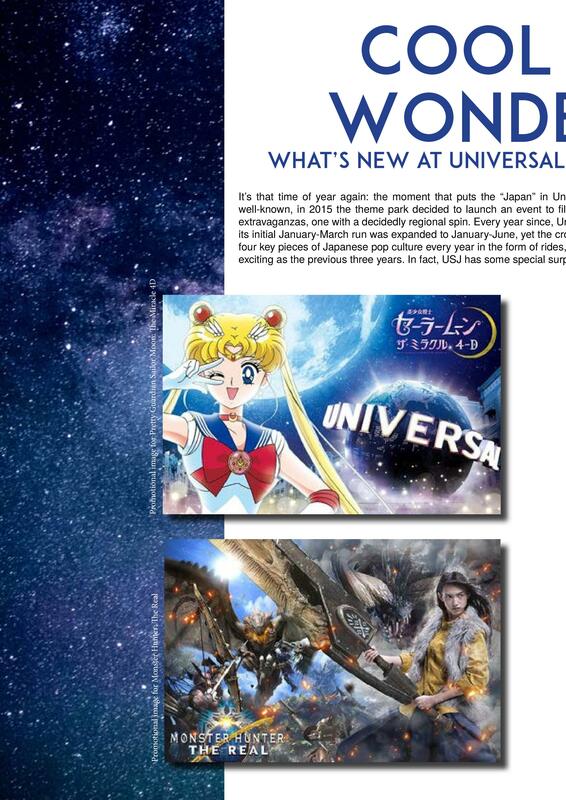 It’s that time of year again: the moment that puts the “Japan” in Universal Studios Japan. While USJ’s limited-time event attractions are well-known, in 2015 the theme park decided to launch an event to fill the awkward time between its holiday illuminations and the summer extravaganzas, one with a decidedly regional spin. 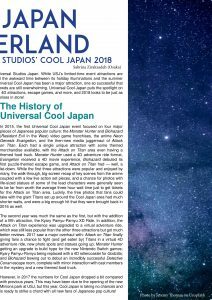 Every year since, Universal Cool Japan has been a major attraction, one so successful that its initial January-March run was expanded to January-June, yet the crowds are still overwhelming. Universal Cool Japan puts the spotlight on four key pieces of Japanese pop culture every year in the form of rides, 4D attractions, escape games, and more, and 2018 looks to be just as exciting as the previous three years. In fact, USJ has some special surprises in store! In 2015, the first Universal Cool Japan event focused on four major pieces of Japanese popular culture: the Monster Hunter and Biohazard (Resident Evil in the West) video game franchises, the anime Neon Genesis Evangelion, and the then-new media juggernaut of Attack on Titan. Each had a single unique attraction with some themed merchandise available, with the Attack on Titan area even having a themed food truck. Monster Hunter used a 4D adventure ride format, Evangelion received a 4D movie experience, Biohazard debuted its first puzzle-themed escape game, and Attack on Titan had — well, a let-down. While the first three attractions were popular and enjoyed by many, the walk-through, big-screen recap of key scenes from the anime coupled with a few live action set pieces and a chance for photos with life-sized statues of some of the lead characters was generally seen to be far from worth the average three hour wait time just to get tickets. Luckily, the free photos that fans could take with the giant Titans set up around the Cool Japan area had much shorter waits, and were a big enough hit that they were brought back in 2016 as well. The second year was much the same as the first, but with the addition of a fifth attraction, the Kyary Pamyu-Pamyu XD Ride. In addition, the Attack on Titan experience was upgraded to a virtual adventure ride, which was still less popular than the other three attractions but got much better reviews. 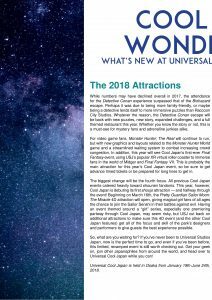 2017 saw a major overhaul with: Attack on Titan finally giving fans a chance to fight (and get eaten by) Titans in a virtual 4D adventure ride, new photo spots and statues going up; Monster Hunter getting an upgrade to build hype for the new Nintendo Switch games; Kyary Pamyu-Pamyu being replaced with a 4D rollercoaster for Godzilla; and Biohazard bowing out to debut an incredibly successful Detective Conan escape room, complete with minor interaction with cast members in the mystery and a new themed food truck. However, in 2017 the numbers for Cool Japan dropped a bit compared with previous years. 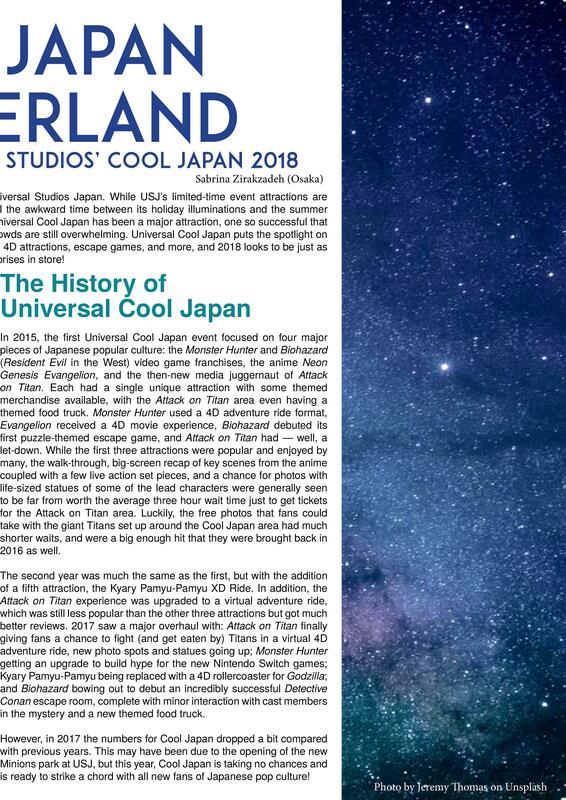 This may have been due to the opening of the new Minions park at USJ, but this year, Cool Japan is taking no chances and is ready to strike a chord with all new fans of Japanese pop culture! While numbers may have declined overall in 2017, the attendance for the Detective Conan experience surpassed that of the Biohazard escape. Perhaps it was due to being more family-friendly, or maybe being a detective lends itself to more immersive puzzles than Raccoon City Studios. 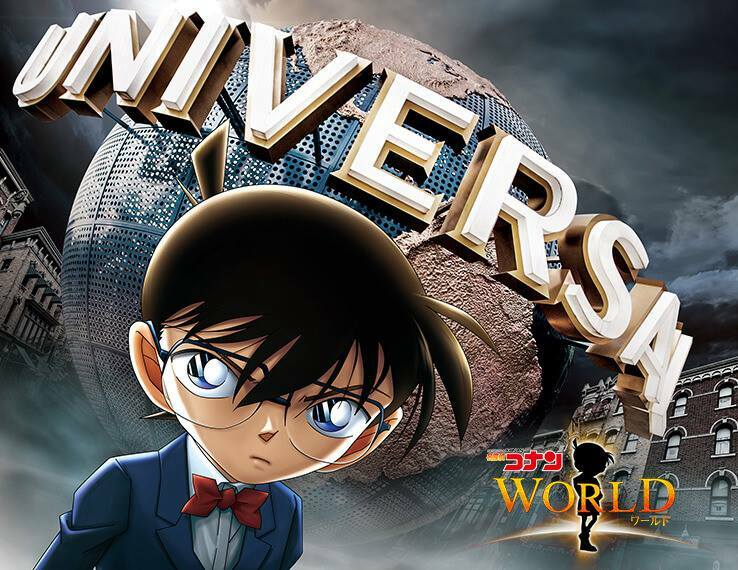 Whatever the reason, the Detective Conan escape will be back with new puzzles, new story, expanded challenges, and a full themed restaurant this year. Whether you know the story or not, this is a must-see for mystery fans and adrenaline junkies alike. 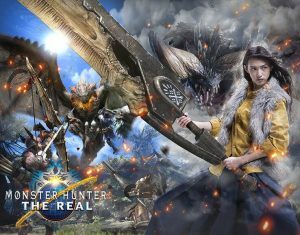 For video game fans, Monster Hunter: The Real will continue to run, but with new graphics and layouts related to the Monster Hunter World game and a streamlined waiting system to combat increasing crowd congestion. 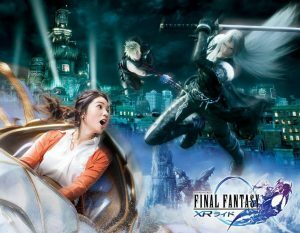 In addition, this year will see Cool Japan’s first-ever Final Fantasy event, using USJ’s popular XR virtual roller coaster to immerse fans in the world of Midgar and Final Fantasy VII. This is probably the main attraction for this year’s Cool Japan event, so be sure to get advance timed tickets or be prepared for long lines to get in. The biggest change will be the fourth focus. All previous Cool Japan events catered heavily toward shounen fandoms. This year, however, Cool Japan is debuting its first shoujo attraction — and halfway through the event! 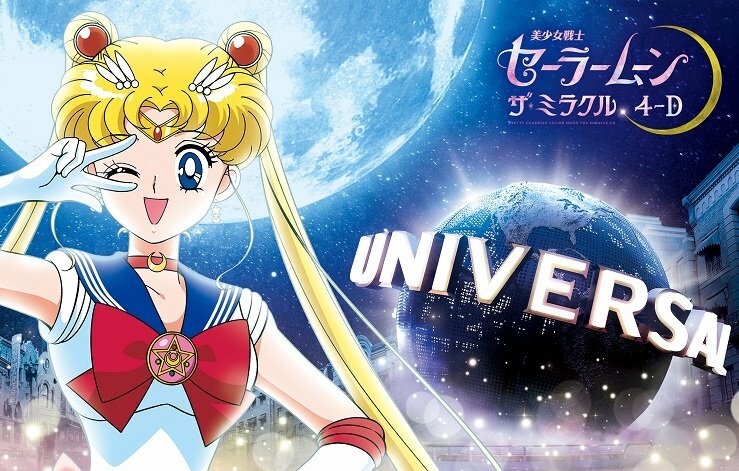 Beginning on March 16th, the Pretty Guardian Sailor Moon: The Miracle 4D attraction will open, giving magical girl fans of all ages the chance to join the Sailor Senshi in their battles against evil. 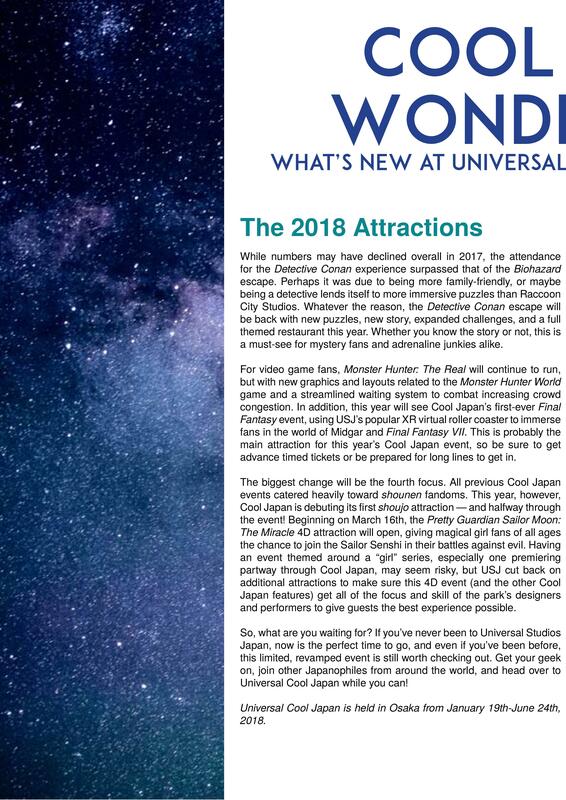 Having an event themed around a “girl” series, especially one premiering partway through Cool Japan, may seem risky, but USJ cut back on additional attractions to make sure this 4D event (and the other Cool Japan features) get all of the focus and skill of the park’s designers and performers to give guests the best experience possible. So, what are you waiting for? If you’ve never been to Universal Studios Japan, now is the perfect time to go, and even if you’ve been before, this limited, revamped event is still worth checking out. 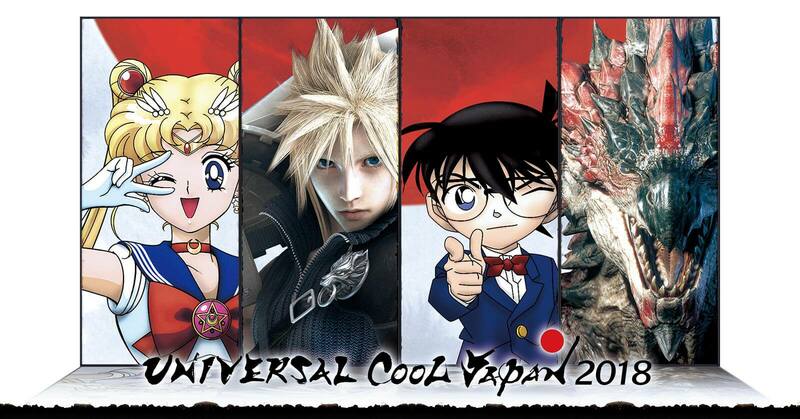 Get your geek on, join other Japanophiles from around the world, and head over to Universal Cool Japan while you can! 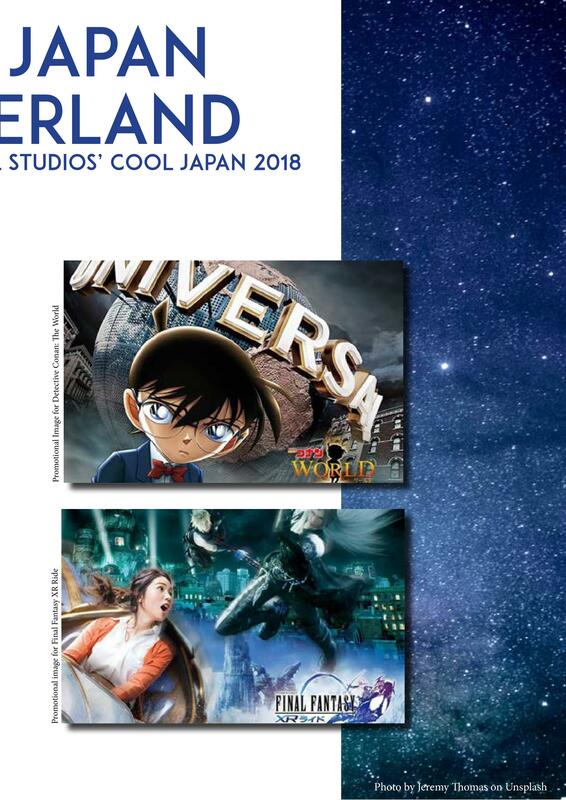 Universal Cool Japan is held in Osaka from January 19th-June 24th, 2018.